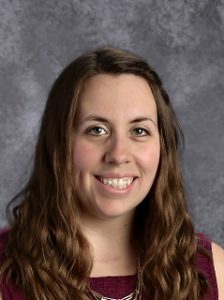 Mrs. Phelps graduated from Concordia University Wisconsin with a degree in Early Childhood Education. She has been a member of Salem Lutheran Church for 12 years. Mrs. Phelps taught at Salem Lutheran School for five years before staying home with her children. She is married to Justin, who works for Mid-America Transplant. They have two children, Wilhemina and Owen, who both attend Salem Lutheran School. 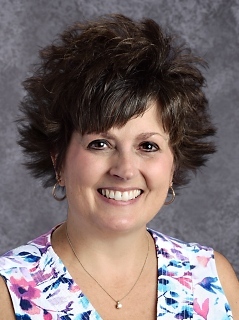 In her free time, Mrs. Phelps loves to spend time with family and friends, read, and explore new places. Her favorite Bible verse is Isaiah 41:13, “For I am the Lord your God who takes hold of your right hand and says to you, Do not fear; I will help you.” She is very excited to return to teaching at Salem Lutheran School! In our Pre-Kindergarten class, our goals are to prepare your child for Kindergarten and to continue to strengthen their relationship with God. Our curriculum integrates specific learning objectives into each lesson. Understanding the literal meaning of a story, knowing elements of a story, and using language associated with time are a few of our objectives. Our year is broken up into 9 themes. We work on a theme for 4 weeks; each week, we look at the theme in a different way. We explore in the areas of Literacy, Health, Social Studies, Math, Art, and Science for support and reinforcement. Know Jesus is their friend. Know Jesus is real and always near. Know Jesus is our Savior who takes away our sins. Know the joy of forgiveness and that they are accepted with unconditional love by Jesus. Move within a space of defined boundaries, changing body configuration to accommodate the space. Begin to move in rhythm. Use skywriting to imprint the letter shapes on the large muscle groups. Begin to hold writing tools with fingers instead of with fist.